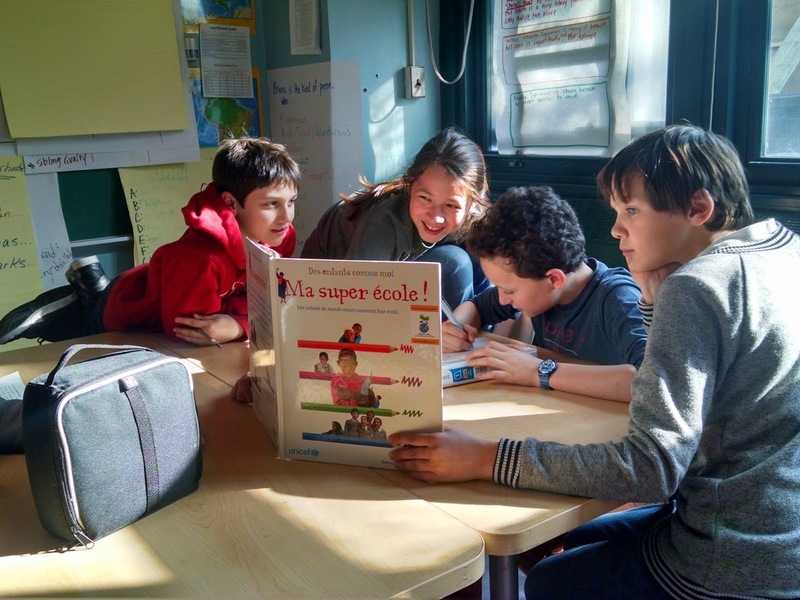 The Boerum Hill School for International Studies has become an increasingly popular choice for its French dual language program, open to District 15 and beyond. There are some strong middle school options that admit students from a wider area than their zone or district. Here are some of our favorites. Also take a look at schools that accept children from throughout the borough of Brooklyn and anywhere in the city. Why we picked it: Community-minded schools with an emphasis on class discussions and portfolio presentations. Lots of field trips. Who gets in: It's tough if you don't currently attend the school. After current 5th-graders are admitted, there are just a handful of seats for District 13 students who are admitted on the basis of a group interview, writing sample and 4th grade report card. Why we picked it: Sparkling new building; dual emphasis on arts and science. Why we picked it: The continuation of one of the district’s best-performing elementary schools offers explorations projects that last two weeks. Who gets in: Continuing 5th graders get priority but MS 8 has space for a couple dozen more District 13 pupils. Why we picked it: French dual language and challenging International Baccalaureate curriculum. Who gets in: Open District 15 and beyond for screened French language program. Some seats reserved for low-income students. Why we picked it: Award-winning debate team and committed staff. Who gets in: Plenty of space for District 16 students. Why we picked it: Well-rounded school with lots of structure for diverse group of students. Why we picked it: More than half the 8th-graders earn high school credit. Who gets in: Zoned students and others in district. Who gets in: Some spaces from outside the zone and even from neighboring District 23.
Who gets in: Boroughwide (includes some Queens students too) based on state tests, report card, special talent, interview, attendance and punctuality. Apply to the school directly. Who gets in: Lots of space for District 17 students; screened program for top students. Who gets in: District 19 students who do well on an entrance exam. Why we picked it: Up and coming warm, caring school; dual language Spanish-English program. Who gets in: District 19 (zoned students get priority). Why we picked it: Students feel challenged, respected and safe in a building that is improving. Who gets in: Lots of space for District 19.
Who gets in: District 23. Room for all who apply. Why we picked it: Warm, respectful environment in an engaging all-boys school. Most students stay for high school and graduate on time. Who gets in: Limited unscreened with priority going to students who sign in at an information session or tour the school. Why we picked it: Science and math camp; visionary leader. Why we picked it: Students are cadets; safe, respectful environment; high test scores – and everyone graduates. Who gets in: Queens and Brooklyn students based on their behavior, attendance, test scores and grades and an interview. Why we picked it: Several Regents offerings, a hydroponic science lab and lots of arts courses and electives, including dance and steel band. Who gets in: Queens and Brooklyn resident applying to enter 5th or 6th grade based on attendance and punctuality, report card grades, standardized test scores and an interview.